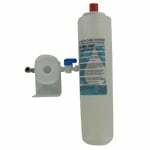 The 3M CUNO Carbon Filter Cartridge is a replacement water filter cartridge that is compatible for the CUNO FM-2 and FM-3 water filtration systems. 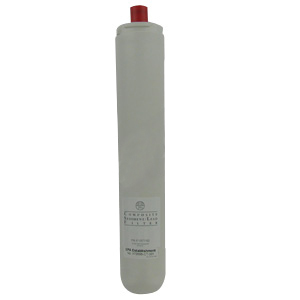 This fibrous carbon block filter cartridge features high absorption activated carbon block with fibrous, graded-density structure and is made of fine and thin fibers, which are carbonized and absorb much faster than the ordinary type of activated carbon. 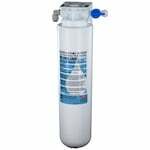 The Cuno 47-55711G2 reduces chlorine/taste/odor and sediments from your drinking water and improves its taste. 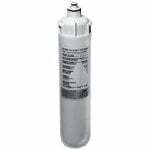 This water filter cartridge also provides a high flow stream of drinking water through unique "radial flow" cartridge design and significantly reducing the release of carbon fines commonly associated with granular activated carbon style cartridges.